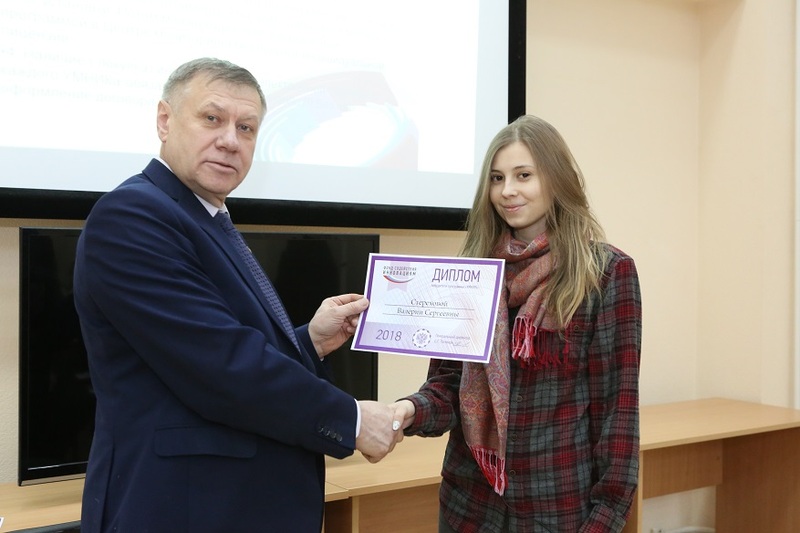 10 students from Tomsk Polytechnic University became winners in the UMNIK competition of the Foundation for Assistance to Small Innovative Enterprises (FASIE). This is the best result among universities in Tomsk. On the eve, a representative of the FASIE awarded the winners in the TPU business incubator. Earlier the Directorate of the Foundation approved the final list of projects that will receive financial support for the program. The developments of TPU students are included in the list. For example, a Device for Continuous Monitoring of Blood Clotting Time by a Contactless Optical Method for Analyzing Thrombus Formation during Surgeries’ proposed by Julia Sytnik, a master student of the Research School of Chemistry & Applied Biomedical Studies. The study is jointly conducted with the colleagues from SMU. According to Julia Sytnik, the existing devices do not allow the prompt monitoring of blood clotting, since to use them you must initially separate the blood into plasma and formed elements in a centrifuge. A device developed at TPU will operate with the whole blood which will provide for the monitoring during surgery. ‘The funding will be spent for the creation of a compact device, including software development, equipment acquirement, details, and assembling,’ specified the master student. Totally, 25 projects made up the final list in Tomsk Oblast, the most of which were submitted by TPU participants. The strongest, commercially attractive and innovative promising projects, part of which are the result of interdisciplinary and inter-university cooperation, were among the winners of the competition. Funding will be given to such projects from TPU as the Development of Software Based on Machine Learning Algorithms to Create a Decision Making Support System in Diagnosing Coronary Heart Disease According Perfusion Scintigraphy, Development of Resource-Efficient Biocultivator Home-Appliance for Highly-Nutritious Microalgae with an Adaptive Life Support, Electro-and Ultrasonic Growth Stimulation, Development of Personalized Rehabilitation Simulator Using Artificial Nylon Muscles to Restore Motor Functions of Hands, and others.